Will Ferrell’s Next Project Is…. Will Ferrell has just signed on to his next project, which is called ‘The House‘. Ferrell was star in the film as well as produce it. The guys who wrote ‘Neighbors‘, Andrew J. Cohen and Brendan O’Brien have penned the screenplay, which focuses on a married couple (Ferrell will be the husband), who lose their daughter’s college fund. 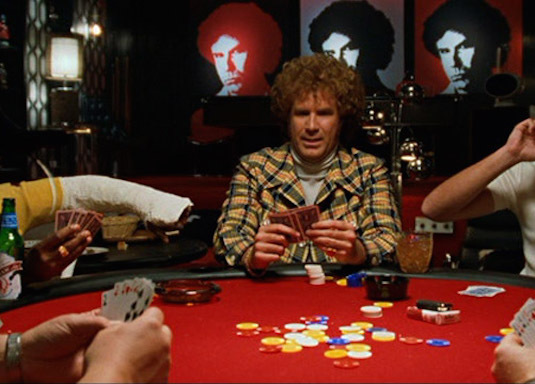 In order to recoup the loss, the couple, along with the help of some of their neighbors, start up an illegal casino in the basement of their house. Cohen will also direct the film in addition to his co-writing credit, which makes this his first feature film. He’s done a few comedy shorts over the past few years, but nothing this big. New Line is looking to start shooting in August, so I imagine a list of actors and actresses are to be announced shortly. ‘Neighbors‘ made made over $268 million dollars, which was a significant profit, which is why we’re seeing a sequel to that as well. I can see the likes of Danny McBride, Seth Rogen and even Dave Franco showing up here as well. This seems to have a funny premise, and I’m sure will pack enough laughs to do well at the box office. This entry was posted on Wednesday, February 25th, 2015 at 1:49 pm	and is filed under Film, News. You can follow any responses to this entry through the RSS 2.0 feed. You can skip to the end and leave a response. Pinging is currently not allowed. « Lady Gaga Set To Star in The next Season of ‘American Horror Story’! !